The Mongooses (that's the plural) were born in May of 1971 when a group of twelve friends hiked with Lorin into Haleakala Crater on Maui. At the end of the trip, they hiked out through Kipahulu where they watched mongooses rummaging in a garbage dump. This provoked terminal silliness as they envisioned a grandiose scheme of building a "Mongoose-land" in Hawaii patterned after Disney-land in California. That's how the name Mongoose became associated with the group and their subsequent hiking and traveling companions, and why Lorin is considered to be the Head Mongoose. 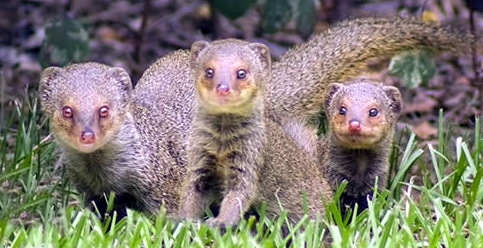 Thirty nine years later, the Mongooses and their friends are still active to this very day.